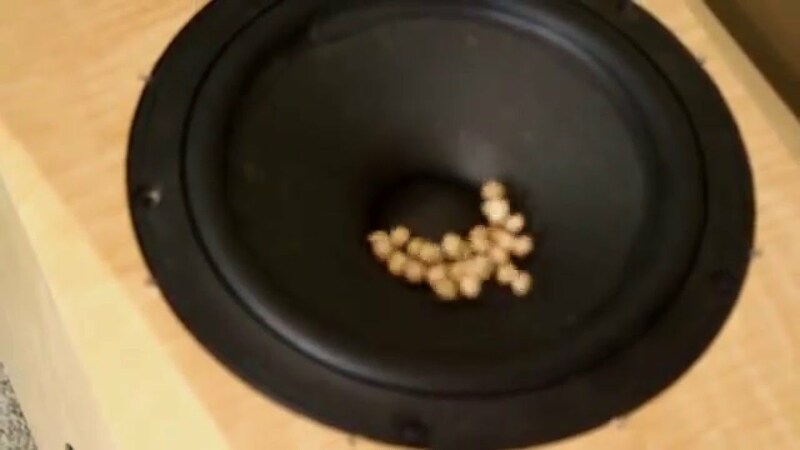 musiclear started a topic A video using garbanzo beans to tune your port or passive radiator. I'm really not interested in arguing the point. Do what sounds good to you. So years of THX research says its a fact that using a center channel speaker is better? Or is that just subjective? * I can watch movies and music with just 2 channels and it sounds just as good or better then when using a center channel hence why the center channel speaker is an option and not a requirement. Some people don't use Dolby formats at all and use the same two channels they use with music to watch movies.....I prefer not to use any dolby thx formats, instead I find it more natural to my ears to just use 2 channels or 5.1 channels without any dolby surround formats...Using just 2 channels seems to produce the most coherent sound IMO. Sure the distance between the L&R matters that's why you have to space them apart at the appropriate distance to your listening position based on your situation and circumstances and not just what your room size allows as there are many other factors involved. Last edited by Millstonemike; 05-17-2018, 10:39 PM.